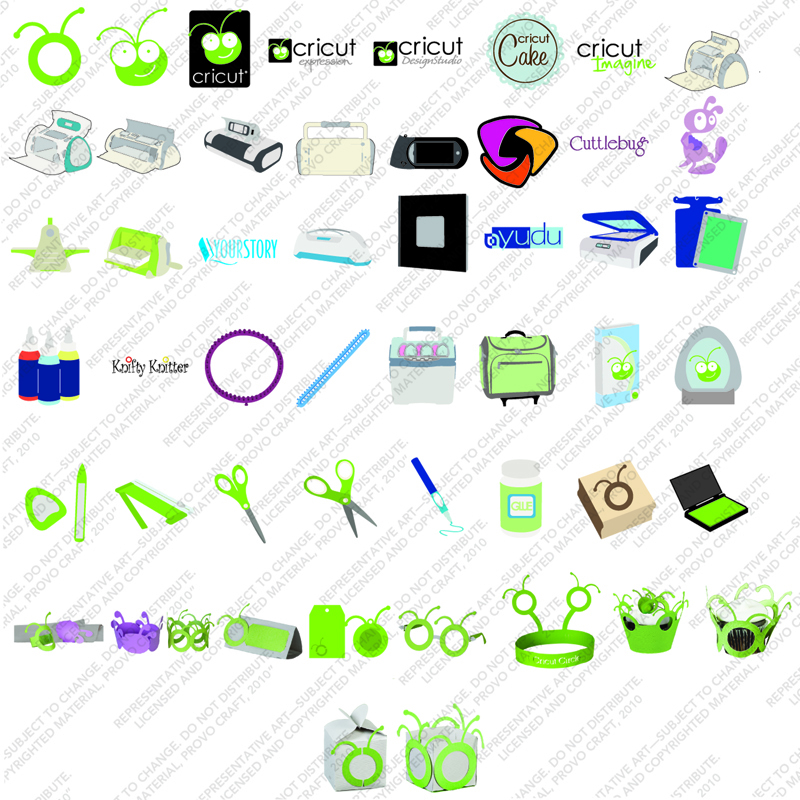 Scrapping Galaxy: New Cricut Cartridges are coming!!! Thanks to Just A Scrappin for letting us know about these cartridges. I can't wait. 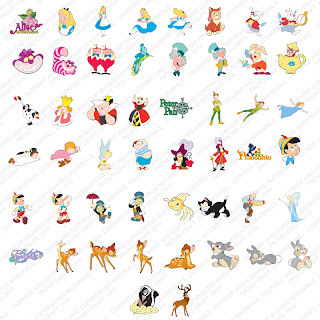 I want almost every one. Throw the perfect birthday, Halloween, or “just because” party with the Life’s a Party cartridge! 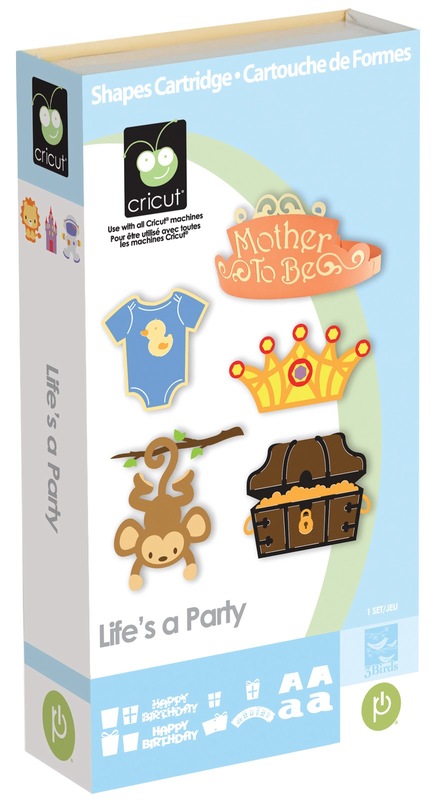 This lively cartridge includes a variety of party-themed images, phrases, cupcake wrappers, and cards. 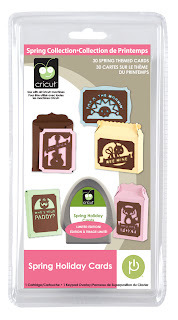 Don’t forget about the layered 3D party favors and font with shadow included on the cartridge. 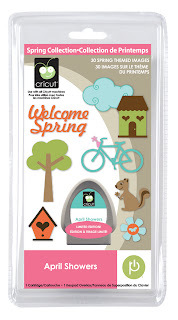 This cartridge includes: Layer, Phrase, Card, Cupcake Wrapper/Topper, Font, and Font Shadow creative features. Available at Hobby Lobby and AC Moore in January. 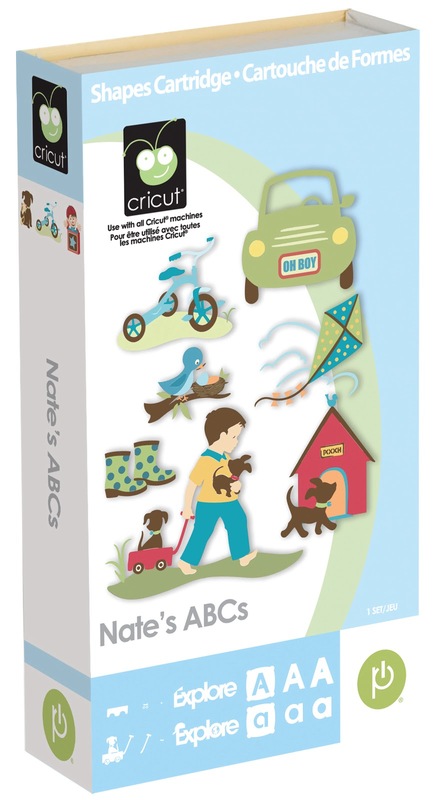 Celebrate the life of a little boy with the Nate's ABCs cartridge! 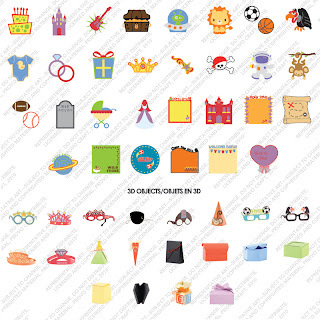 This adorable shape cartridge is filled with layered boy-themed images and phrases. 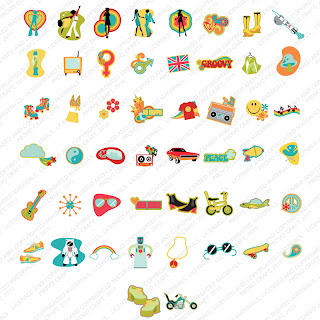 It also includes two fonts with numbers and punctuation so you can take your creativity even further. 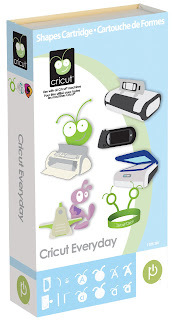 This cartridge includes: Layer 1, Layer 2, Phrase, Font 1, Font 2, and Font 2 Shadow creative features. Available January. 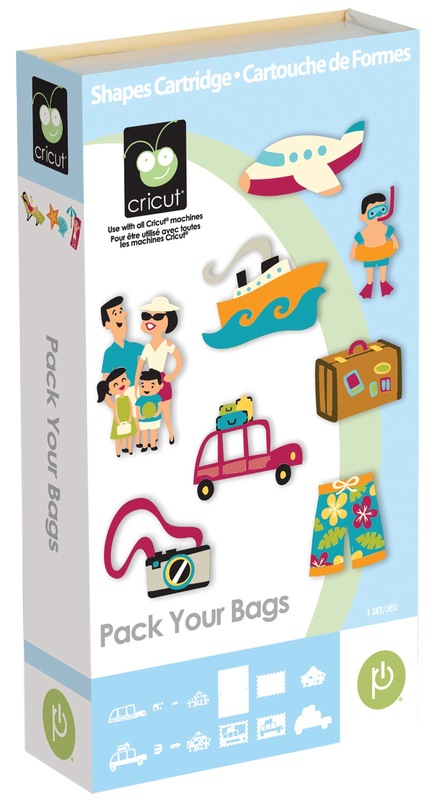 Get ready for the perfect vacation with the Pack Your Bags cartridge! 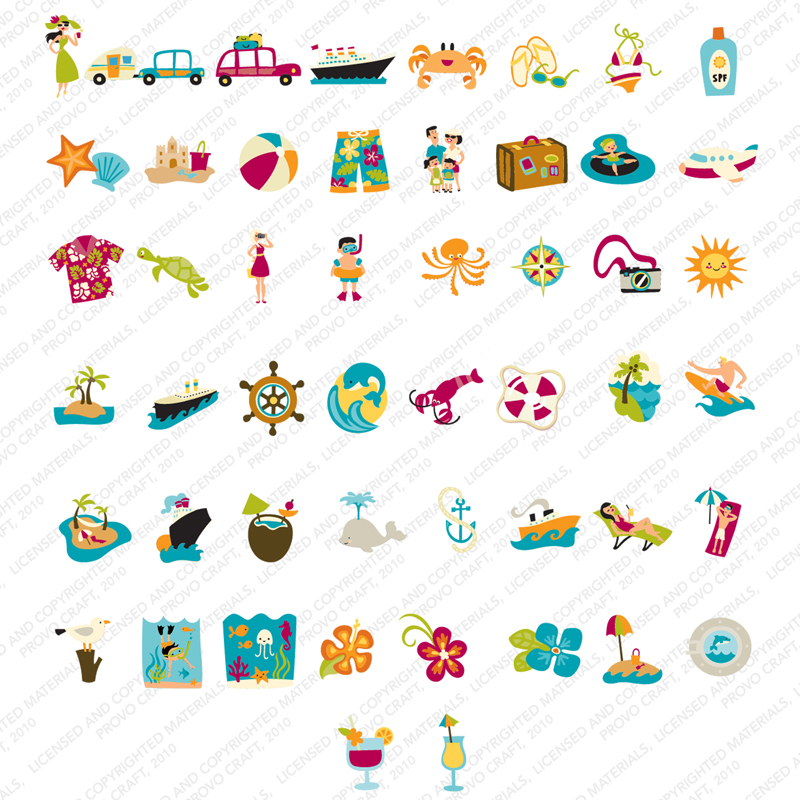 This whimsical cartridge is filled with vacation-themed images such as cruise ships, sea life, tropical flowers, and much more. 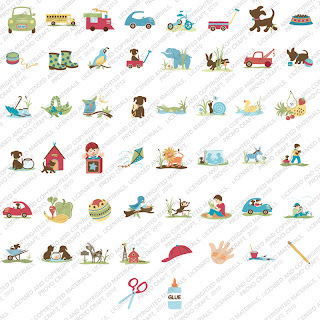 You will also love the coordinating phrases, cards, and stamps that you can use for new and exciting creations. This cartridge includes: Layer 1, Layer 2, Phrase, Card, Stamp, and Shadow creative features. 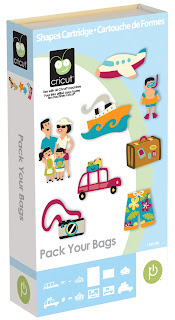 Available at Hobby Lobby and AC Moore in January. 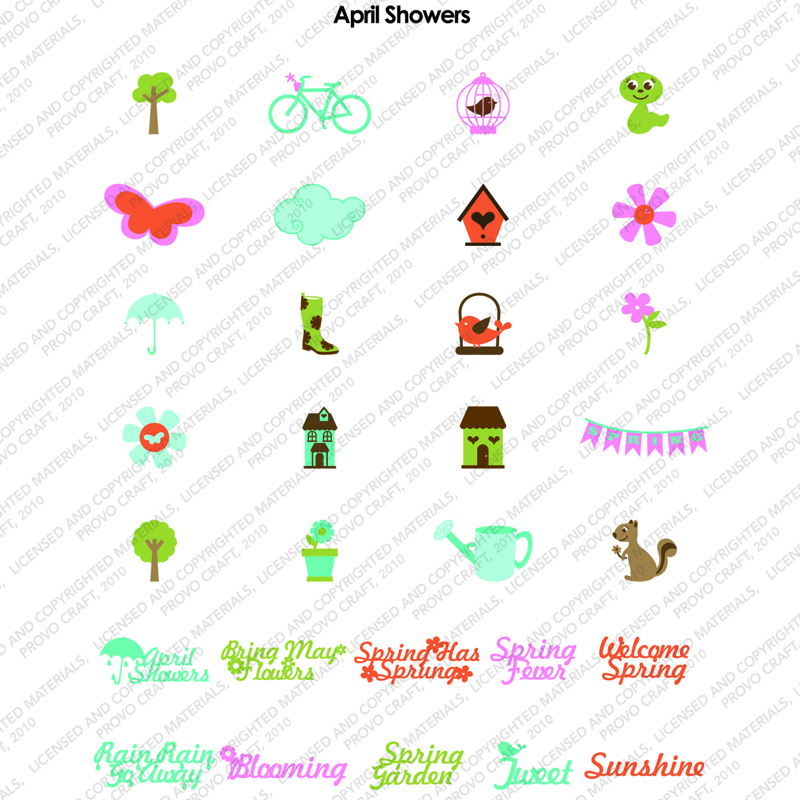 Celebrate the arrival of spring with the April Showers seasonal cartridge! 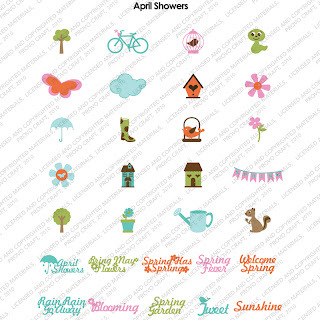 This spring themed cartridge is filled with adorable images including birds, umbrellas, flowers, and phrases. 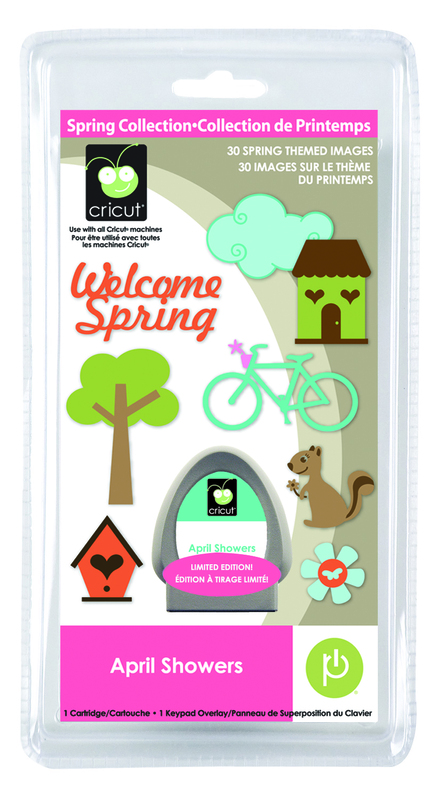 Whether you’re looking for a cheery way to welcome spring or cute accents for your creative projects, you’ll love this cartridge! Available this January. 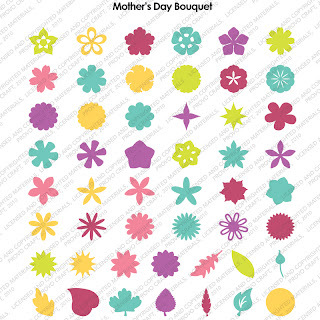 Layer your favorite shapes together to create hundreds of unique flower designs with the Mother’s Day Bouquet cartridge! 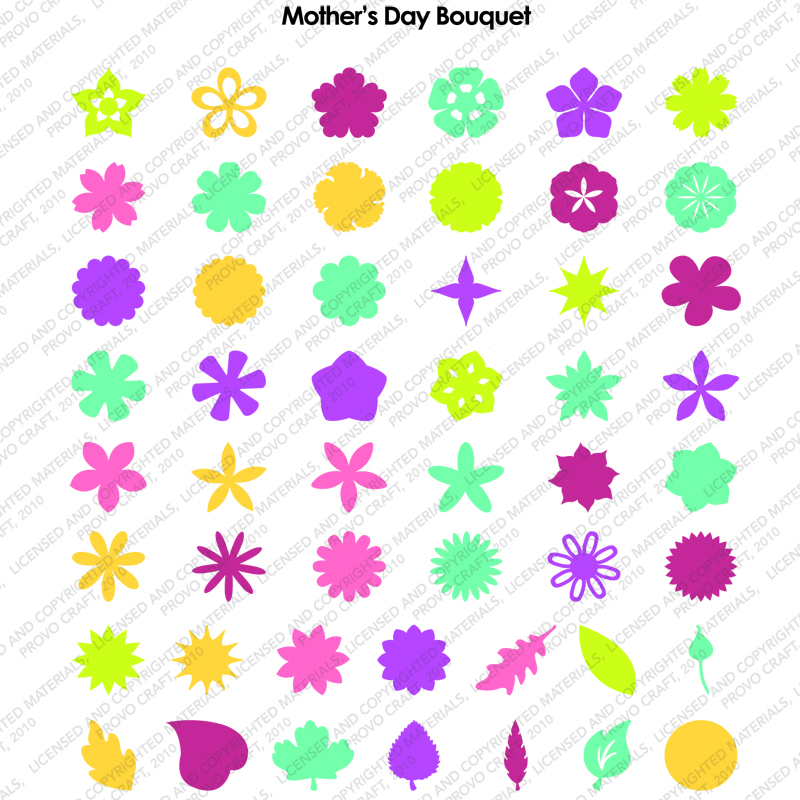 You can use a pencil to curl the flower petals and leaves to get a 3D effect. 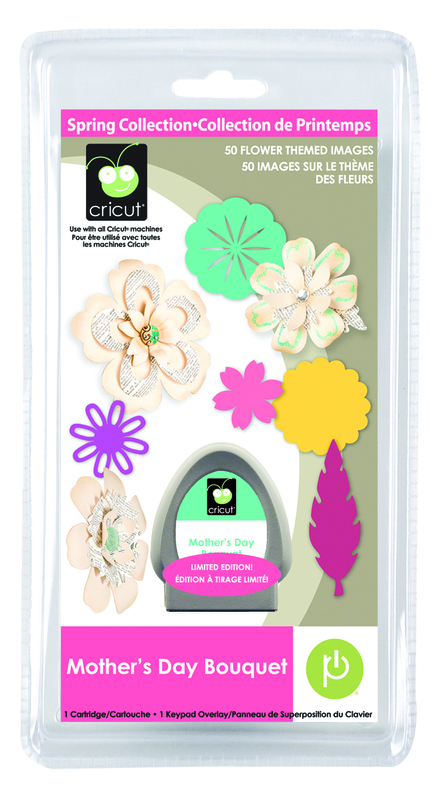 Don’t forget to add buttons, glitter, gems, and other accessories (not included) to give your flowers a personal touch! 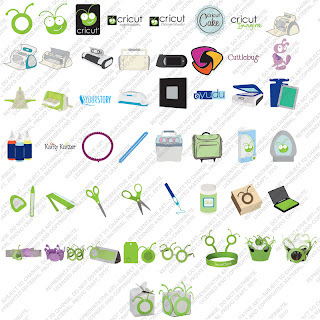 Available this January. 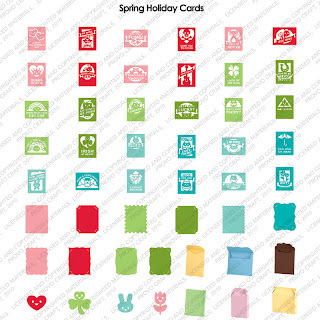 Create cards, envelopes, and boxes with the Spring Holiday Cards cartridge! 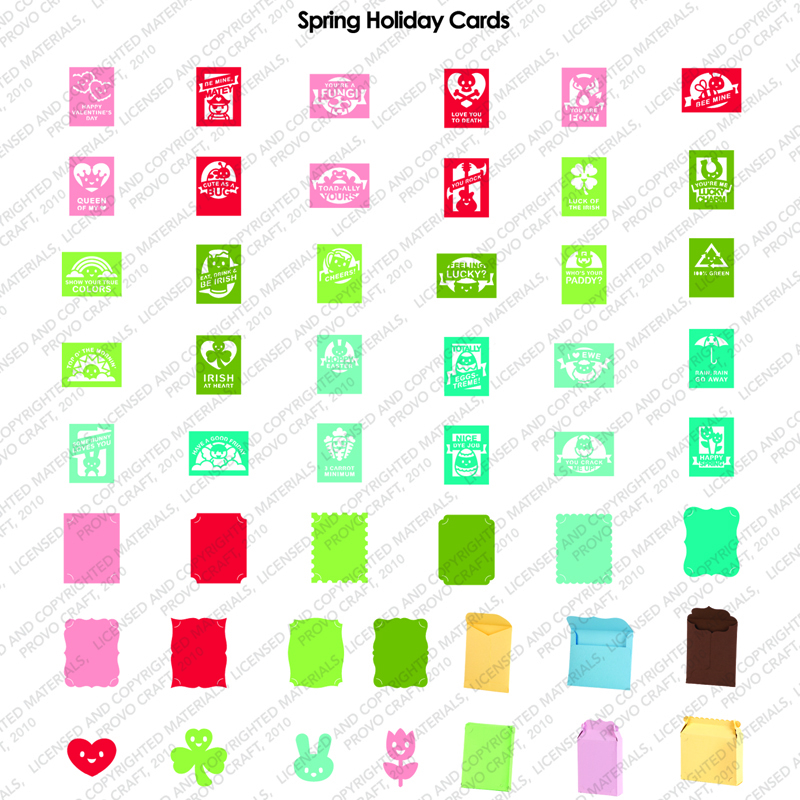 This festive cartridge contains images for Valentine’s Day, St. Patrick’s Day, and Easter. 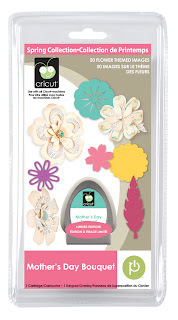 Mix and match card fronts with backgrounds to create fun variations on your projects. Available this January. 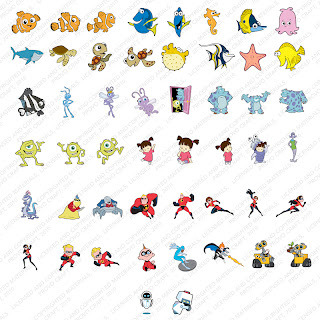 Licensed by Disney® for the U.S. and Canada only. 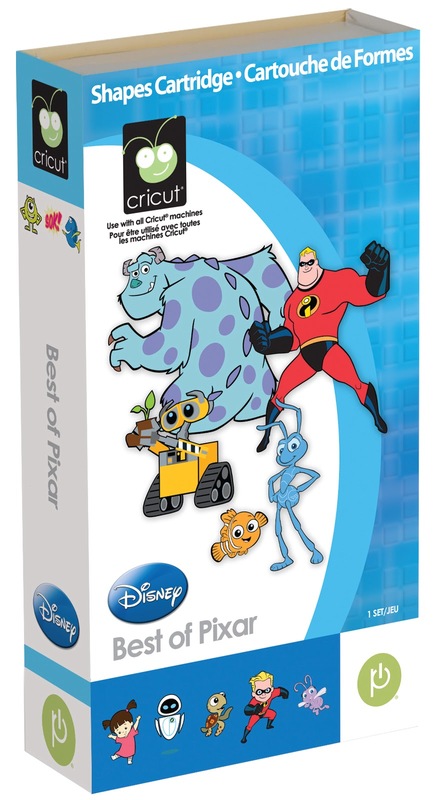 Take your creativity to new worlds with the Best of Pixar cartridge! 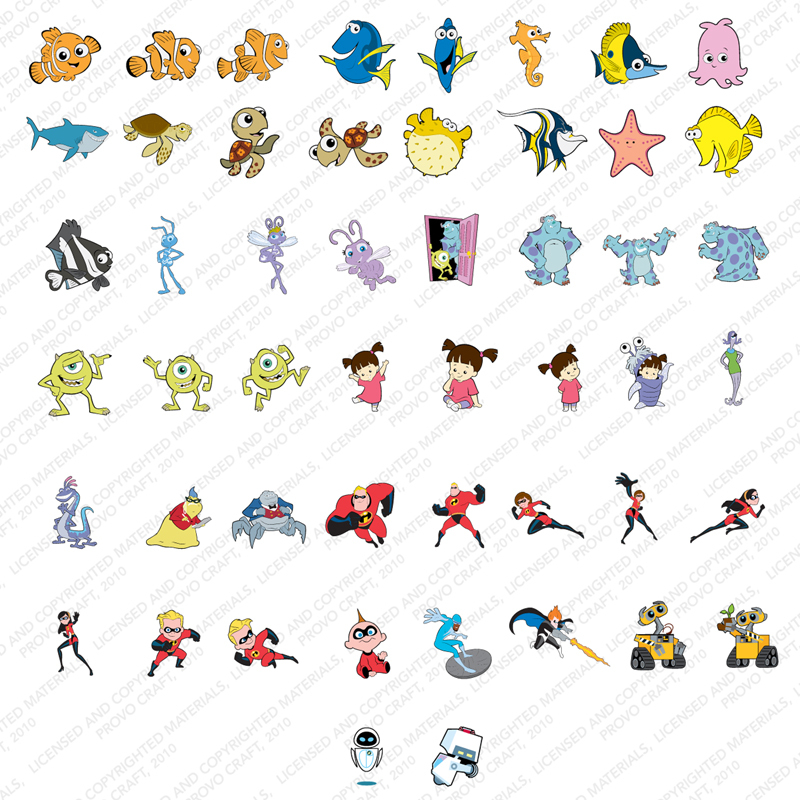 This cheery cartridge includes layered images and icons from five favorite Pixar movies: Finding Nemo, A Bug’s Life, Monsters, Inc., The Incredibles, and WALL-E. You will love creating with Nemo, the Tank Gang, Boo, the Parr family, WALL-E, and EVE. 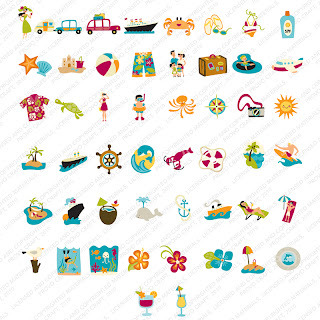 This cartridge includes: Layer 1, Layer 2, Layer 3, Icon, Icon Layer, and Shadow creative features. Available this January. Licensed by Disney® for the U.S. and Canada only. Relive the childhood magic of your favorite movies with the Disney Classics cartridge! 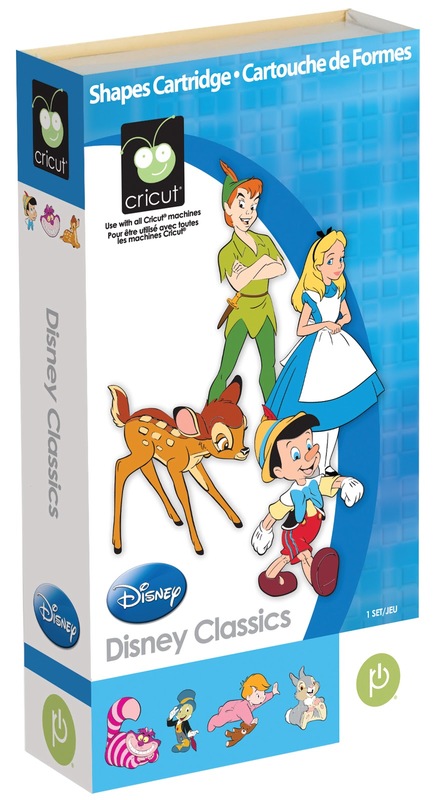 This lovingly detailed cartridge features layered images and icons from four beloved Disney movies: Alice in Wonderland, Peter Pan,Pinocchio, and Bambi. 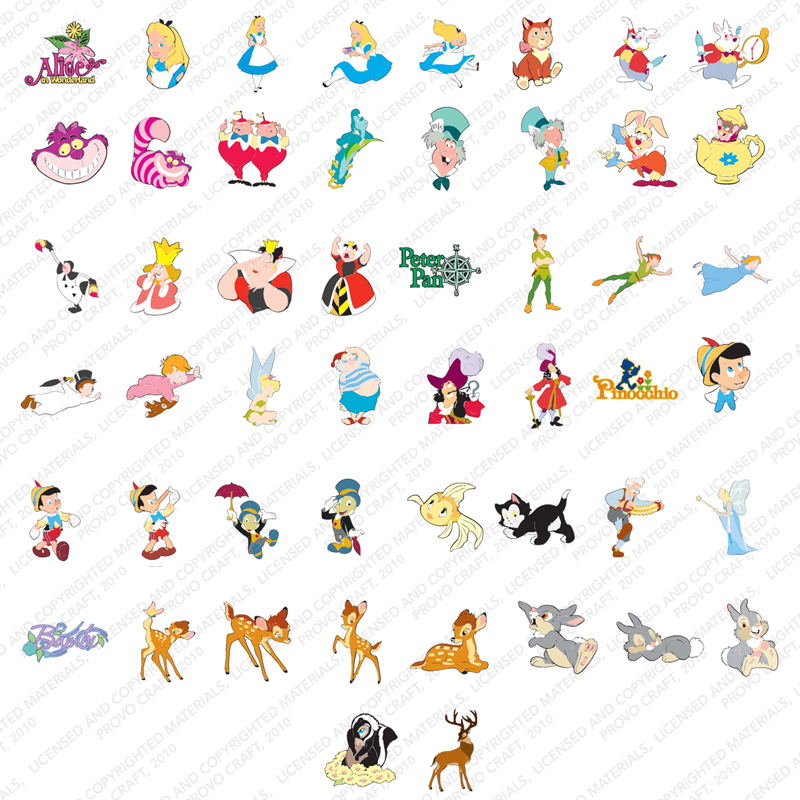 You will love creating with Alice, the Queen of Hearts, Captain Hook, Jiminy Cricket, and other characters. This cartridge includes: Layer 1, Layer 2, Layer 3, Icon, Icon Layer, and Shadow creative features. Available this January. 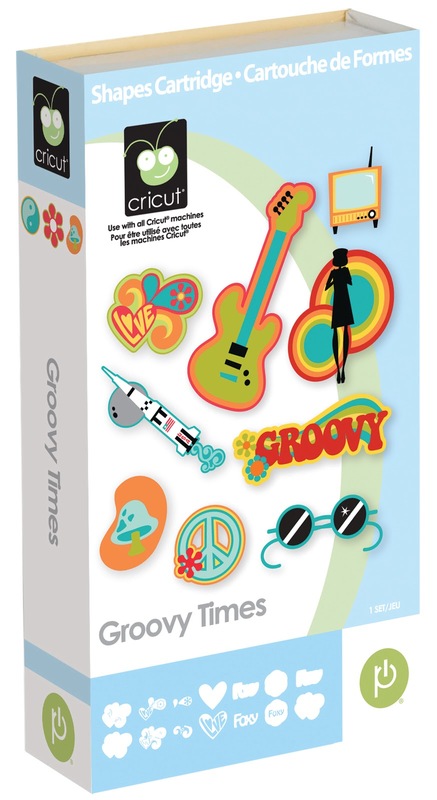 Bring new life and flair to your creative projects with the Groovy Times cartridge! 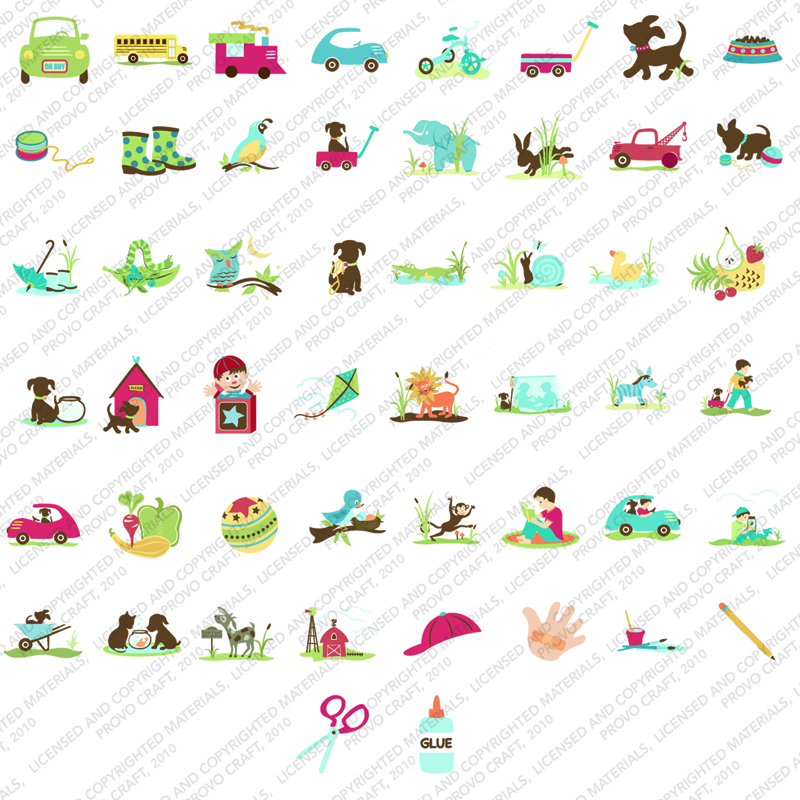 You will love the layered clothing, symbols, vehicles, silhouettes, and other images on this cartridge. 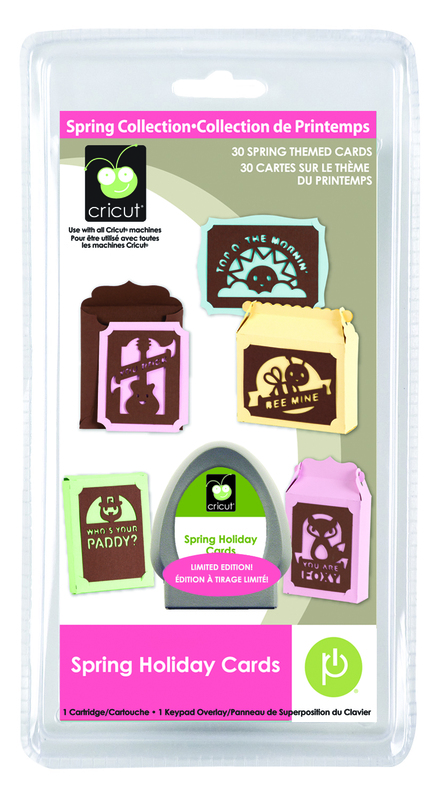 Don’t forget to use the themed phrases such as foxy, our pad, way out, and rock on. 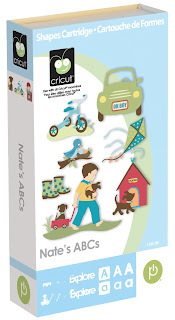 This cartridge includes: Layer 1, Layer 2, Silhouette, Phrase, Shape Phrase, and Shadow creative features. Available this January.